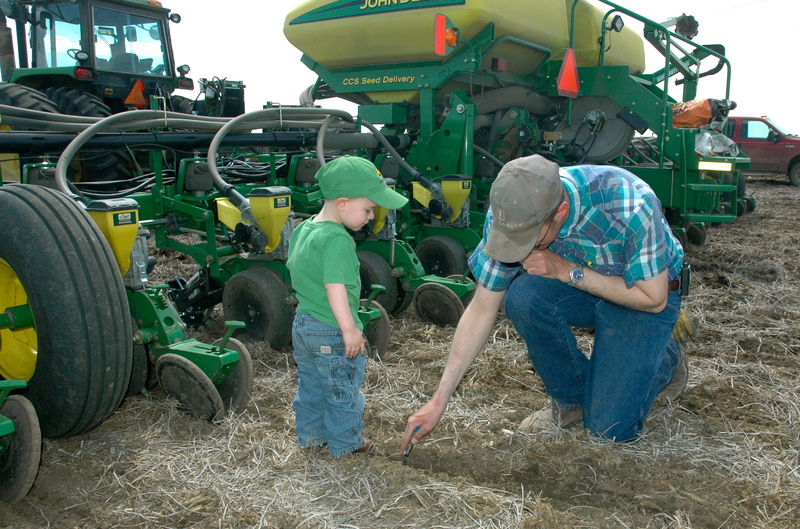 SDCUC president Brian Smith and his son examine the soil while utilizing no-till to plaint this year’s corn crop. Today is World Soil Day, a day to observe and recognize the important role that this precious resource plays and the steps being taken to protect it. Luckily for South Dakotans, our state’s soil is in good hands with our farmers and ranchers who have a track record to be proud of. A recently released 25 year study from South Dakota State University shows that eastern South Dakota continues to build the organic matter in its soils. In fact, these lands are becoming carbon sinkholes due to lesser tillage practices, higher yielding crops and many other modern farming practices. The planting of cover crops in South Dakota has continued to build in popularity among farmers as they provide numerous benefits for the land. Cover crops, which can be a mix of peas, rye, turnips, clover, radishes and/or many other plants to reduce erosion, provide animal forage, deliver pest management, increase microbial activity, warm spring seedbeds and naturally fixate nitrogen into the soil. More and more farmers have also adapted to using precision guidance and application systems on their fields. Precision guidance can reduce the number of passes needed in a field and reduce compaction in soils. Precision application systems allow farmers to place the right amount of seed and fertilizer in the right place at the right time, ensuring healthy and productive soils. Another tool being used more and more by farmers today is drainage. Drainage tile decreases erosion, increases yields during wet and dry years, allows for lesser tillage practices and allows the soil to breathe during times of saturation, increasing its microbial activity. Buffer strips, grass waterways and shelterbelts on farms across South Dakota all provide the land with protection from both wind and water erosion. This entry was posted in News and tagged corn, cover crop, drainage, farm, no-til, soil, South Dakota, World Soil Day.